Geely Automobile Holdings Limited - one of the ten largest Chinese automobile manufacturers. Parent Company - a diversified group of Geely Holding Group, established in 1986. Headquarters - in the city of Hangzhou, Zhejiang province, China. Geely owns nine factories located in China, in the cities of Linghai, Ningbo, Lyuykao, Shanghai, Lanzhou, Xiangtan, Jinan, Chengdu and Cixi. Also, Geely has a network of higher education institutions to prepare their personnel, several research centers in China and Sweden, and even the design studio in Barcelona and Los Angeles. In 2013, Geely took 19th place among the top Asian companies on the version of Forbes, and 466 th place in 2014 in the list of 500 largest companies in the world «Fortune Global 500", according to the Fortune, and is recognized as one of the "most innovative enterprises in China. " Geely in 2013 produces more than 30 models of cars under three brands (Emgrand, Gleagle and Englon) with an engine capacity of 1.0 to 2.4 liters, with manual and automatic transmissions. In 2013, the company's market capitalization was $ 3.9 billion.. In 2014, the company refused to use sub-brands, while in a number of countries, including in Russia, the brand cars sold under different brands. The company's motto - Happy Life, Geely Drive! In 1984, Li Shufu was founded Zhejiang Huangvan Shiqu Refrigerator Company - Company for production of refrigerators and components for refrigeration plant, renamed in 1986 in Zhejiang Huangvan Beijihua Refrigerator Company. Due to the entry into force in 1989. The new regulatory rules that for the production of refrigerators in China require a license, the decision was made to begin to engage in the manufacture of building materials. The company was again renamed as Zhejiang Taizhou Geely Decoration Ltd. It began to produce motorcycles, scooters and accessories for them to establish a partnership with the Japanese Honda, but in 1994 the company became a leader in the production of scooters and proceeds to assemble your own motorcycle with Geely in 1992 under license. By 1996, Geely has produced more than 200,000 motorcycles and scooters. In 1997, Geely manufactures the first motor scooter, designed and assembled by Chinese engineers. Geely Motorcycles and scooters are available today and are in high demand especially in China. In June 1997, Geely became the first private automaker in China, and in 1998 with the hatchback Haoqing SRV, built on the G100 Daihatsu Charade platform began production of cars. By the end of the year stood on the conveyor and other models of the family HQ. In 2000 he produced soplatformennaya Geely Merrie, but large-scale production of cars is not possible until 2001. In 2001, Geely gets a license for the production of automobiles and officially became one of the first private Chinese automakers, and models of the brand are published in the official China's automotive catalog. In 2002, Geely began to cooperate with South Korea's Daewoo and Italian Maggiora, and acquires Shanghai Maple Automobile (SMA). Geely is one of the 500 largest enterprises in China. In 2003, Geely become a group of companies created and Geely Holding Group Co., Ltd. 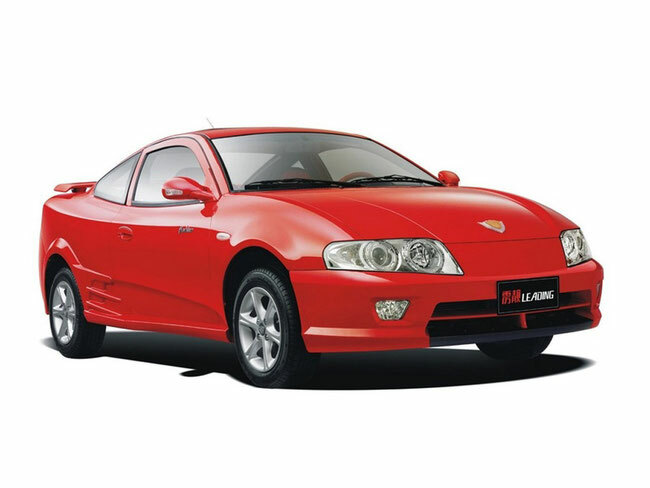 In the same year the first batch of Geely cars exported abroad, and the volume of issuance in the first half amounted to 34 thousand units, 2003 was remembered for Geely is also a car Beauty Leopard, developed in conjunction with engineers from South Korea's Daewoo on the platform of the first generation Toyota Cynos, public and presented as "China's first sports car." In 2004, it launched into production, submitted a year ago Maple Marindo. A Shanghai Maple Geely brand as part of receiving the title of "best car brand in China - 2004. Since 2005, Geely shares start to be quoted on the Stock Exchange of Hong Kong (0175 HK), and at the same time update the Geely hatchback Haoqing and presents it together with its other models and Merrie Uliou at the Frankfurt Motor Show IAA'2005, becoming the first Chinese automaker submitted their machines "Old world." Serious furore in Europe is not made, but Geely could make themselves and their intentions. In 2005, Geely was awarded in the category "Chinese Famous Brand". By this time, Geely cars exported to markets in Africa, Eastern Europe, the Middle East, Central and South America. Already in the next 2006, Geely showed its models at the International Motor Show in Detroit (USA) NAIAS 2006. In the same year it introduced self-developed automatic transmission and gasoline JL4J18 engine with a working volume of 1 liter and a maximum power of 57 kW (78 hp). Then Geely acquire 19.97% stake in the British Manganese Bronze Holdings involved in the design, development and manufacture of a taxi, as well as sign a joint venture agreement. In 2006, it begins exporting vehicles under the brand Shanghai Maple. Brenda Shanghai Maple awarded the title of "Shanghai Famous Brand". C 2007 with a small party in the 300 kits start SKD assembly of Geely cars in Ukraine in the factory according to the concluded KrASZ Importer agreement between the Group companies "AIS" and Geely. At the same time on the Amur plant in Russia Geely car assembly begins (CK) Otaka. By the end of 2007 the volume of production of Geely worldwide reaches to 181,517 cars per year. 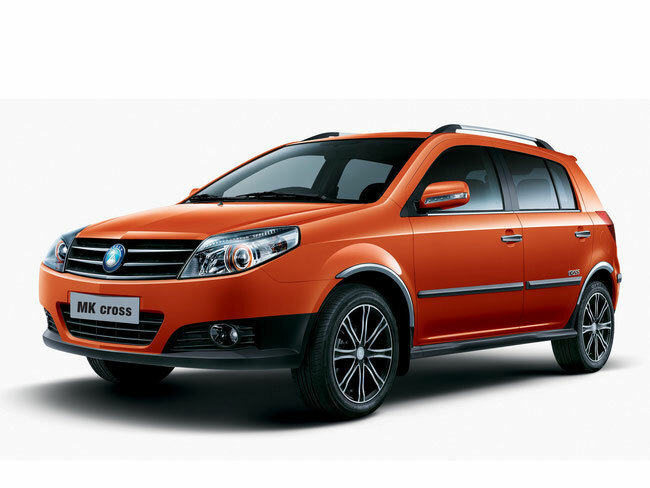 In 2008, Russia supplied begins Geely MK Geely and the Vision according to the signed exclusive distribution agreements between Geely and Red Dragon companies (has been specially created company "Rolf" for import and sale in the territory of Russia the Chinese cars). At the other end of the world, under the North American International Auto Show in Detroit (USA) NAIAS 2008, of Geely introduced the world to another active safety system BMCS (Blow-out Monitoring and Braking System - in real-time system monitors tire pressure, and if it is sharp fall, activates automatic emergency braking). The development of this system in Geely engaged since 2004. For BMCS company was awarded in the category "Special Prize for innovation." In parallel with the development of the brand, all over the world are beginning to emerge whole communities Geely car owners: in China, in Russia, the Ukraine, etc., which further contributes to international expansion, the development of the model range, low prices and quality of consumer vehicles, and the company shows more and more social responsibility. In 2008, the company began to explore the release of biofuel cars can run on natural gas and methanol, and based on the model of Geely (LC) Panda finalizing its first electric car Geely LC-E. The next year 2009 the contract with the firm Yulon Group companies start joint production of electric vehicles. Also Geely signs strategic agreement with Shell to use lubricants company in the manufacture and maintenance of vehicles. The year 2009 was a year for Geely major agreements and acquisitions: as in 2009, Geely acquires Australian company, one of the largest production of automatic transmissions, Drivetrain Systems International Pty Ltd. (DSI). In the same year, Geely thoroughly eyeing the acquisition of the Swedish Saab and becomes a potential buyer, and in December 2009, Ford announced the sale of Volvo Cars for $ 1.8 billion Zhejiang Geely Automobile. The signing of a definitive agreement to sell 100% stake in Volvo Personvagnar AB held on 28 March 2010. The transaction was completed on August 2, 2010. At the same time, by agreement between Geely and Yulon Group, the latest release of Geely start model (LC) Panda branded Tobe M'Car in Taiwan and in Vietnam. At the Motor Show 2010 in Beijing Geely presented a new strategy and its three new sub-brand: Emgrand, Gleagle and Englon. 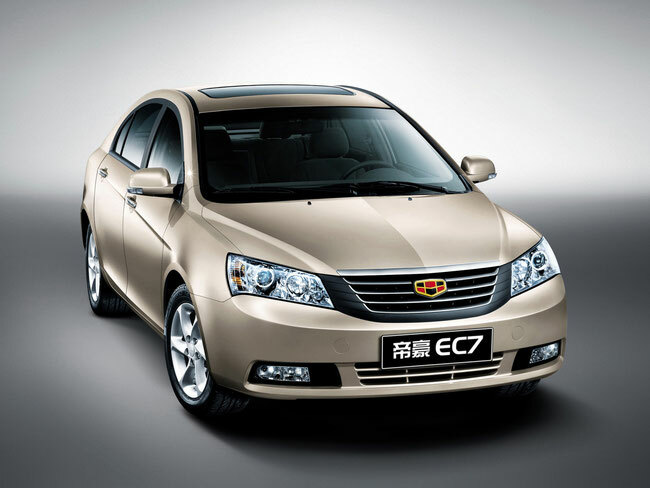 The following year, Geely Emgrand EC7 the first Chinese cars won four stars in independent crash tests EuroNCAP, previously received 5 stars in the C-NCAP crash tests. In Russia in 2011 to replace the Red Dragon'u working on an exclusive distribution agreement, Geely representatives come directly in the face of "Gigli Motors' (Geely Motors) and start selling two models: Geely MK and Geely MK Cross whose production is adjusted at the factory Derways in Karachay-Cherkessia. In neighboring Belarus between Geely and the Ministry of Industry of the Republic signed a memorandum of cooperation on the basis of which is created CJSC "BelDzhi". In 2012, between Geely and Volvo Cars signed a memorandum of transfer of technology, Geely also enters the list of 500 largest companies in the world «Fortune Global 500", according to the Fortune, which occupies the 475th place. In Russia, meanwhile, launched production and sales of the most secure "Chinese" at the time of sedan Geely Emgrand EC7. At the end of 2012 Geely became the number one exporter of Chinese automotive companies, realizing a total of 483,000 cars. In 2013, Geely will acquire 100% of the shares of the British Manganese Bronze Holdings, renames in London Taxi Company, and opens CEVT - China Euro Vehicle Technology (Sino-European automotive technology) Research Center in Gothenburg. Geely is still in the list of 500 largest companies in the world «Fortune Global 500", according to the Fortune, but already takes 477th place, but in 2013, Geely takes 19th place among the top Asian companies according to Forbes. In Belarus, the plant will start production BelDzhi Geely cars (Emgrand X7, LC-Cross and SC7) by SKD (SKD), and in Russia start sales of the first full-fledged crossover brand Geely Emgrand X7 Belarusian production and the production of sedan Geely GC6 Derways. In 2014 the company changes its strategy of development and renounces the use of sub-brands: Emgrand, Gleagle and Englon. Then the company intend to develop a single brand Geely and thus all-new model will be produced under the brand of Geely, and with a new logo, pulled out from the sub-brand Emgrand, but in a different color execution. In the other countries, including Russia, of Geely cars continue to be marketed under different brand names. In addition, Geely acquires British startup electric Emerald Automotive. [At the end of the year the world Geely is the new self-developed gasoline engine with a displacement of 1.3 liters, turbocharging and a maximum power of 98 kW (133 hp), which is recognized as one of the best engines of China in 2014 as well as the whole scattering of new products: the flagship sedan Geely GC9, updated sales leader Geely Emgrand EC7 and updated Geely (GC7) Vision.